What’s crackin? My name is Lily! 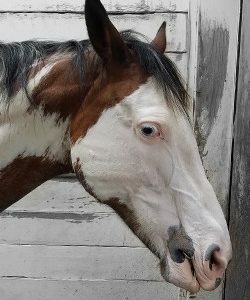 I’m the newest horse at Scooter’s Place. I moved in in November, 2018. I can be a little shy but am really chill and a sweetheart when you get to know me. Come on in and say hi! You can help pay for Lily’s care with a subscription sponsorship of only $25/month. Lily is currently 0% sponsored. 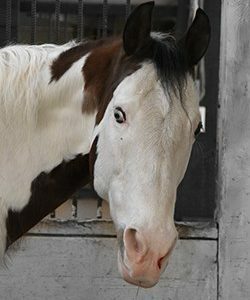 Each of our horses are kept on a regular vaccination, de-worming and farrier schedule. Their nutritional needs are evaluated and addressed on an individual basis. The horses are turned out daily for play time and return to an individual pen with shelter at night. The horses are groomed daily and examined for cuts or anything unusual. Our volunteers adore our horses and give them plenty of love and attention throughout the week. 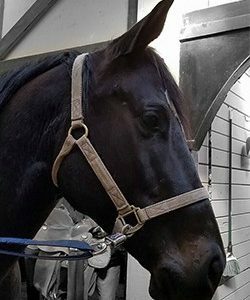 Additionally, our horses are given additional therapies when necessary to ensure that they stay in the best possible shape, both mentally and physically. 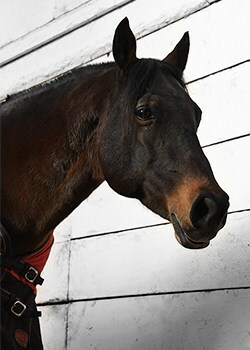 The full cost to care for one healthy horse for one year is around $14,000 including hay, supplements, veterinary care, farrier services, tack, blanket, stall bedding, and daily care. 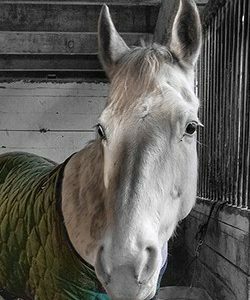 Because we care for all ages of horses, older horses may incur higher veterinary care costs and your monthly donation helps cushion us against these unexpected expenses.